WFN: World Fishing Network, North America's only 24-hour fishing lifestyle network, and The Orvis Company, North America's leading outdoor retailer since 1856, are teaming up to teach people all the essentials they need to start fly fishing. 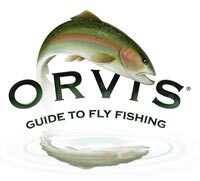 Orvis Guide to Fly Fishing, hosted by respected author and angler Tom Rosenbauer, kicks off a 13-consecutive week run on Tuesday, March 13, at 9:00 pm ET, teaching viewers the fundamentals of fly fishing for all species in all waters. Following the first two episodes, WFN will air a 14-hour Fly Fishing Fever marathon on Sunday, March 25 beginning at 4:00 p.m. ET with encore performances of the first two episodes of Orvis Guide to Fly Fishing. The marathon will also feature new episodes of Hookin up with Mariko Izumi with a fly fishing flavor and several other popular WFN fly fishing shows. "This show is the centerpiece of an exciting partnership between Orvis and WFN to bring the fun, excitement, beauty and passion of fly fishing to our viewers all across North America," said Mark Rubinstein, President and CEO of WFN. "All anglers love a challenge, but so many of them are intimidated by fly fishing. Tom Rosenbauer makes fly fishing easy to understand and we have no doubt that he will inspire scores of anglers to give fly fishing a try." Orvis Guide to Fly Fishing is the source for introducing the sport, making it fun and demonstrating how it can be both accessible and affordable to potential fly anglers. The easy-to-follow series teaches novice fly fishers all the essential facts needed, whether they fish in cold, warm or even salt water for bass, stripers, trout, or bonefish. "Since 1856, The Orvis Company has been inspiring, educating, outfitting and equipping fly fishermen," said Jim Lepage of The Orvis Company. "We are delighted to partner with WFN on an educational series that shares the joy, skill and intricacies of fly fishing with millions of anglers across North America." Shot throughout North America in HD, the show uses stunning underwater photography and innovative 3-D animation to bring the sport to life. The series is structured like an educational book, with chapters dedicated to all of the critical tools of the trade including; retrieves and casts, equipment choices, knots, fly patterns and more. But just as important as these basics is a thorough and easy-to-understand explanation of the choices successful fly anglers need to make. Rosenbauer, who was named Fly Rod & Reel magazine 2011 Angler of the Year, has written 10 books about fly fishing, including the Orvis Fly-Tying Guide - the 2001 National Outdoor Book Award winner. He has been with The Orvis Company for more than 30 years and during his tenure has worn many hats -- fishing school instructor, public relations director, merchandise manager, and editor of The Orvis News. Founded in 1856, Orvis is a family-owned retail and mail order business specializing in high-end fly fishing, hunting and sports goods and apparel. Orvis pioneered the mail order industry in the United States and operates a chain of retail stores in the U.S. and England - including its flagship store in Manchester, VT - and maintains a network of 400 dealers worldwide. Orvis donates five percent of pre-tax profits each year to environmental programs. WFN: World Fishing Network is the only 24/7 television network dedicated to all segments of fishing with programming that covers instruction, tips, tournaments, travel, food, boating, outdoor lifestyle and more. WFN's wide-ranging programming lineup includes primetime theme nights, a selection of the best international series and the most diverse species coverage of any TV channel. Featuring popular programs hosted by the world's top anglers, WFN offers a variety of exclusive lifestyle shows including; Hookin' Up with Mariko Izumi, Reel Fishy Jobs with Mark Melnyk, The Lodge and Getting School'd with JP DeRose. The beauty of WFN's programming is available in 100 percent stunning High Definition. WFN's multimedia platform includes a mobile portal for the Apple and Android platforms, WFN Fishing Log app for the iPhone and iPad and a robust fishing website, www.WorldFishingNetwork.com. Originally launched in December 2005, today WFN and WFN HD are available in more than 30 million households through North American cable, satellite and telecommunications distributors including; more than a dozen systems in Canada, plus DISH Network, Charter Communications, Comcast, Verizon FiOS, AT&T U-verse, Cablevision and more in the U.S. For more information, visit www.WorldFishingNetwork.com.